SPEGASH, a Farm Market vendor located in between Morrison St. and Durkee St., on the south side of the street, features fresh authentic Italian foods. 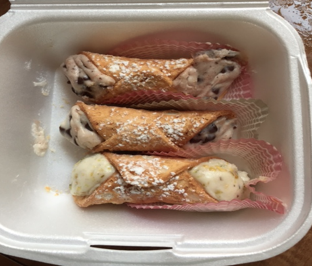 Rudy makes the best Cannoli’s in the area. His pastry is light and airy with a sweet rich creamy filling. The filling is mouth watering and delightful, with just the right amount of filling in each cannoli. I cannot tell if my favorite is the chocolate chip or the Pistachio filling. They make the perfect dessert after dinner or anytime really. I had the Milanese Lasagna. This is not your traditional lasagna but oh so good. This lasagna gave me the feel of true comfort food. With its unique sauce, it reminded me of grilled cheese and tomato soup. 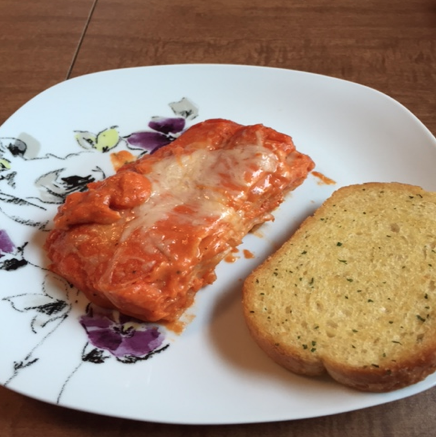 Rudy has created a superb Italian meal that eats like a treat. The ready-made container of lasagna was a quick and easy meal. Just preheat the oven and cook for 30 minutes. This vendor has made cooking dinner enjoyable when you have busy schedules and are on the go all the time. This vendor has my future business when it comes to wanting Italian home cooking.